Due to expensive prices of solar powered pumps, the market for solar pumps especially in developing countries such as India and Africa are highly dependent on government funding. In a newly published research report titled “Solar Pumps Market: Global Industry Analysis (2012-2016) and Opportunity Assessment (2017-2027),” report estimates the global solar pumps market to reach up from a value of US$ 822 Mn in 2017 to a value beyond US$ 2,000.0 Mn in the next decade. During the forecast period 2017-2027, the global market for solar pumps is projected to grow at a stellar CAGR of 11.7 per cent. The Middle East and Africa have been the top consumer of solar powered pumps over the years. China has also been a key market owing to substantial adoption of solar pumps. However, India has been expected to challenge MEA and China in terms of growth rate, emerging as the fastest growing region with the most attractive opportunities for solar pumps manufacturers. “Report anticipates robust growth for the India solar pumps market at a CAGR of over 15.0 per cent during 2017-2027,” states a research analyst, (energy, mining, oil, and gas domain). Apart from India, the overall growth for the Asia Pacific, precisely South East Asia Pacific is also likely to be on a higher side at a CAGR value of over 12 per cent. In a nutshell, developing economies are slated for robust growth in the global solar pumps market over the next decade. Relatively low awareness about installation and benefits of solar powered pumps among farmer communities has been a long-standing challenge to limit the adoption of solar pumps in developing countries such as India. 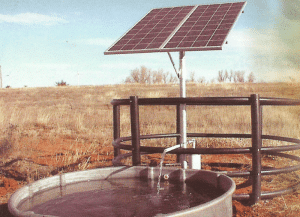 The study, however, indicates that rapidly growing awareness since the recent past has already caused sales of solar pumps to surge and agricultural sector has now become the top consumer of solar pumps. Another impactful challenge to market growth is higher upfront costs. Favorable government schemes for farmers, coupled with increasing affordability, will fuel the market growth in the near future. The Indian government has recently implemented several initiatives regarding renewable energy projects, resulting in a heap of tax and subsidy benefits. Soaring demand from water-intensive end-use industry is another factor shaping the future of solar pumps market in India. Irrigation will remain the top application throughout the forecast period, owing to growing water conservation efforts at ground level and technological advances in agriculture. To support and encourage farmer communities for solar pumps deployment on a large-scale, the Government of India is providing an interest-subsidy and a reduced capital-subsidy. In addition, the government has been offering direct subsidies specifically for solar pumps promotion. Various NGOs are also taking efforts to popularize the use of solar-powered pumps in different parts of India. While the Indian market is being operated by key players such as Jain Irrigation, Shakti Pump, CRI Pumps, Tata Power Solar, and Kirloskar Brothers, few global players are planning to launch their plants in India to capitalize on attractive opportunities. Due to expensive prices of solar powered pumps, the market for solar pumps especially in developing countries such as India and Africa are highly dependent on government funding. “The Government of India has been taking strong steps towards solar pumps popularization since the past few years. The plan involves credit extensions to other developing countries to purchase solar pumps from manufacturers based in India. Moreover, the government also has plans to use the International Solar Alliance specifically for popularization of indigenously developed solar water pumps in Africa, with the help of NGOs. A few less developed countries in Africa are already experiencing the benefits of solar pumps installation in the form of drastically increased farm yields and income of rural families. 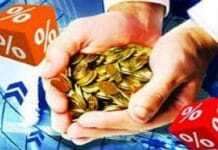 This will be the most important factor driving the market growth in India,” opines an analyst.